The 6th “Because I am a Girl– Donate a Pencil Campaign” was successfully held from 6 to 21 October 2018. 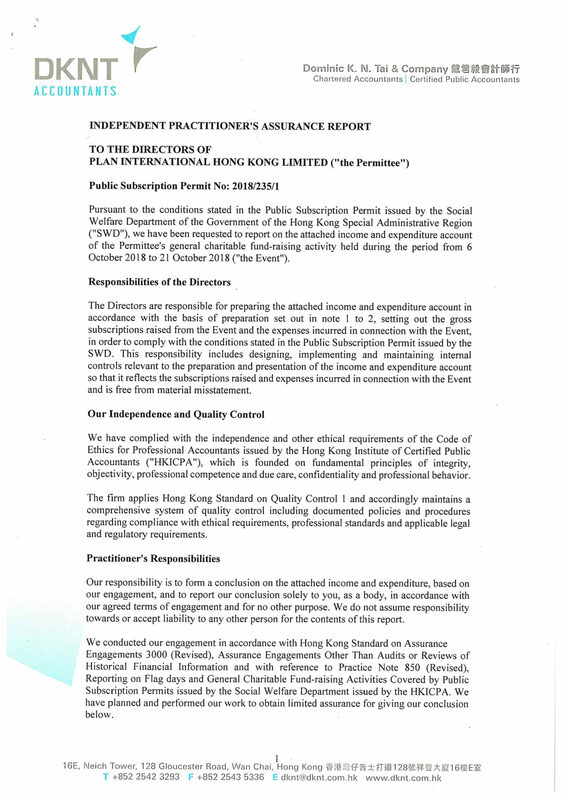 The audit report, which is voluntarily audited by Dominic K. N. Tai & Company, is completed. You may click the picture below for details.